Does a bear fish in the south? The Russian bear’s footprint is falling increasingly heavily on the Antarctic environment. It’s leaving a mess behind, and standing in the way of a better future. 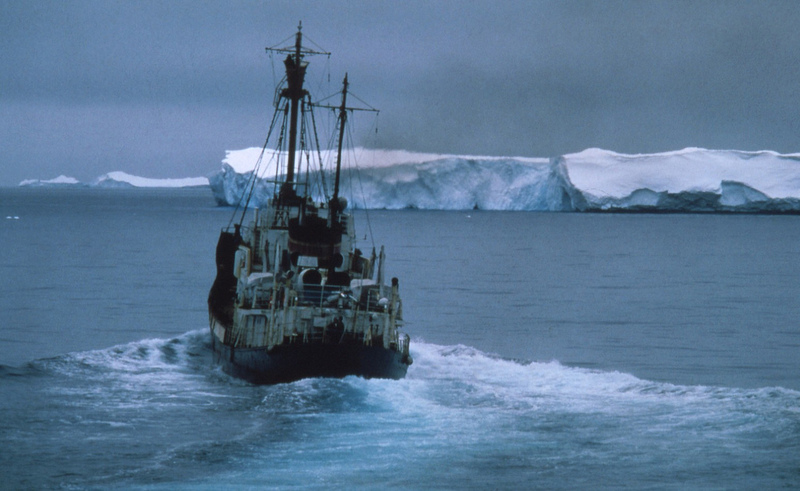 In doing so, it’s highlighting limitations of the governing Antarctic Treaty System. Russia has just blocked  the creation the creation of a set of marine reserves in the Ross Sea and eastern Antarctica  at a special meeting in Germany of the Commission for the Conservation of Antarctic Marine Living Resources (CCAMLR). Less than two years ago Russia had supported a framework for marine conservation areas . The meeting in Bremerhaven marked only the second time that the 32-year-old CCAMLR has convened outside its annual meeting. The session was called after China, Russia, and Ukraine opposed other members to defeat Antarctic protection plans at the 2012 CCAMLR meeting. Those plans  would have created two Marine Protected Areas in which fishing and other potentially harmful activities would be banned in around 3.5 million square kilometers of sea off the Antarctic continent. Russia’s fishing interests in Antarctica are long standing. Russia was joined in opposing the marine reserves by Ukraine, one of the former Soviet Union’s great fishing states. In matters Antarctica, there’s consensus decision-making, so Russia and Ukraine’s opposition stopped the reserve plans of Australia, New Zealand, the US and other Antarctic players . CCAMLR took the unusual step of calling a press conference and pointed to Russia’s blocking of the proposal. CCAMLR countries China, Japan and South Korea backed the marine reserves proposal. No treaty gives countries the right to proclaim a protected area on the high seas, but other instruments like the biodiversity convention and the law of the sea convention would support action of this kind  to protect the world’s ocean. There are now extensive discussions going on in the UN Working Group on Areas Beyond National Jurisdiction to protect high seas marine biodiversity . (Also see here .) UN Secretary-General Ban Ki-moon has set a goal  (PDF) of conserving ‘at least 10% of coastal and marine areas’ by 2020. Less than 2% of the world’s ocean waters are set aside as marine reserves, so that’s why many are looking to making the Antarctic proposals models of international cooperation . The issue will come back to CCAMLR at its next meeting in Hobart in three months. This will give time for Canberra and other polar players to try and get Russia to drop its objections . Anthony Bergin is deputy director of ASPI. Image courtesy of Flickr user Antarctic and Southern Ocean Coalition .